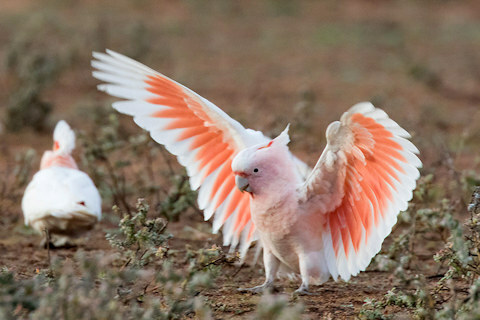 Major Mitchell’s cockatoos happen to be one of the most beautiful of all cockatoos. 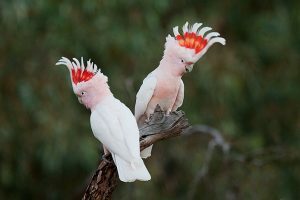 Resembling its cousin rose-breasted cockatoos in appearance and coloration, these birds are highly expensive, being suitable for aviaries and parks. Color Salmon and yellow crest, pink head, neck, and underparts, white upper parts and flight feathers, orange pink underwings, pink under the tail. Horn colored beak and gray bill. Males have black eyes while females have brown eyes. 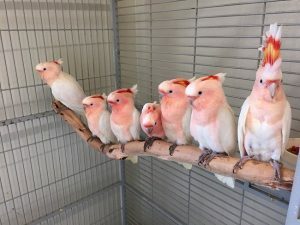 Let’s get a fact straight that these cockatoos are not easy to adopt since they are prone to be aggressive, especially the males. 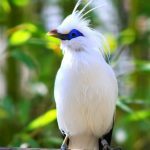 Moreover, their loud screaming can put you in some trouble with your neighbors, but if you have decided to have these beauties by your side, just check on the following facts and get started. 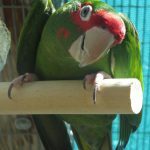 Arrange a cage as large as possible with a sturdy lock. 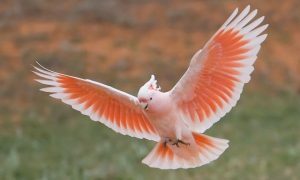 It will help the cockatoos in stretching their wings and continuing their physical activities without any hindrance. 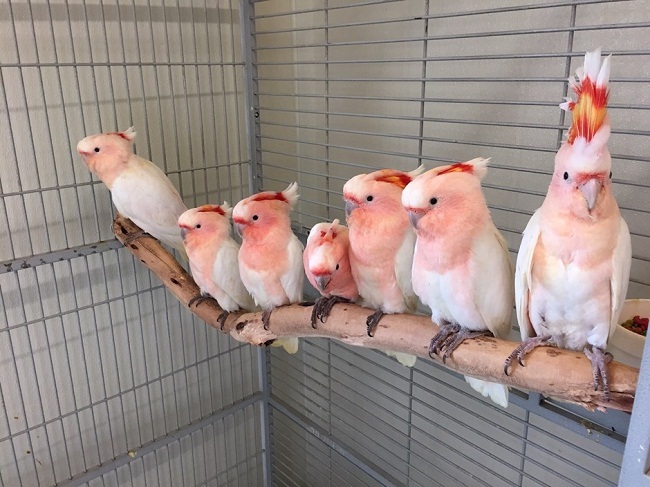 They also need to be in an outdoor cage daily for relishing the fresh air. 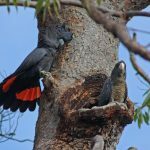 Place a wooden nest box sizing 18 x18 x24 inches inside the cage. 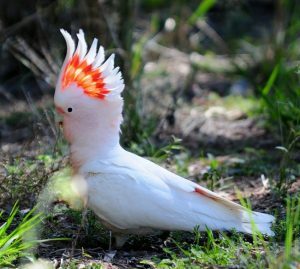 Like any other cockatoo, this one also has an incredible power of enduring a wide range of temperatures. Still, do not make it stay in direct sunlight for too long. Major Mitchell’s cockatoos, with their tantrums, like to stay alone most of the time and make a quick connection with their owners. 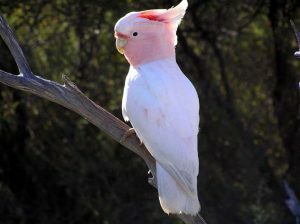 They are possessive of their master and don’t like if their owner talks to other family members. They need to socialize with all your family members to form a bond. If they don’t get the adequate attention, they become hostile and nippy. 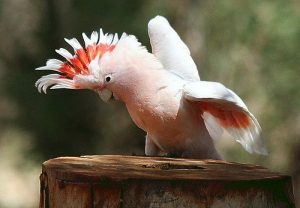 With proper handling, your hand raised cockatoo will understand your mood as well. Also, chewing is their favorite tendency, so they enjoy chewable toys mostly. Fresh fruits and vegetables, besides formulated diet along with occasional treats with nuts and seeds, should be provided. 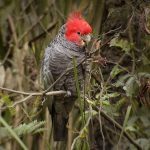 Vitamin supplements are required if you don’t provide your bird a formulated diet. Highly fatty foods should not be given. 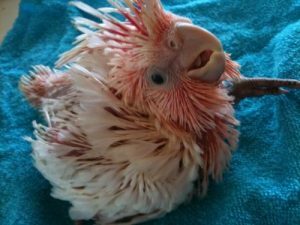 Your time and care are what will keep your bird in good condition, both mentally and physically. Do not let your pet get bored ever, as this may lead to its destructive behavior. Try to interact with it as much as possible. Although not the best imitator or talker, it will reciprocate your actions in the best way possible. Regular bathing is essential along with a clipping of the primary flight feathers. 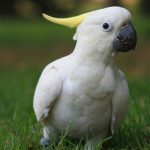 There are several diseases that may affect your pet, and these are listed below, consultation with a vet in any of such following cases is advisable. A Major Mitchell’s cockatoo is quite rare in the United States, hence, in order to get one, you must be ready to splurge anywhere between $3,000-$10,000. 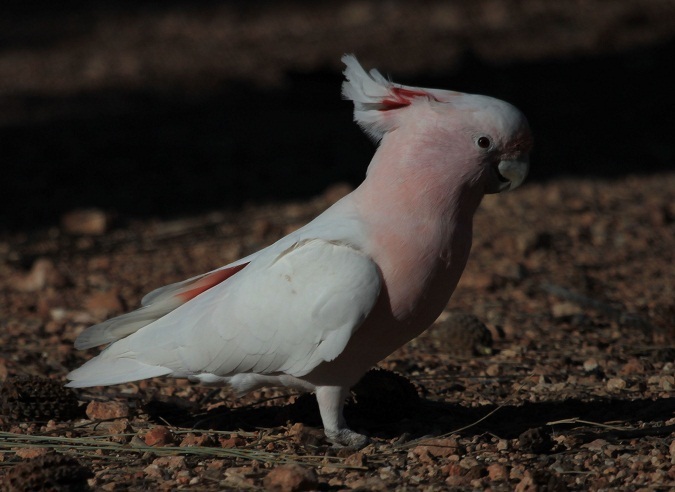 This bird is named after the explorer Sir Thomas Livingstone Mitchell, who efficiently described the beauty of these cockatoos. 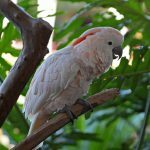 The world’s oldest cockatoo (according to Guinness World Records), Cookie, who died at 83, happened to be a Major Mitchell’s cockatoo.